Herefordshire Heartstart recently held its annual training event for volunteers. This year we were delighted to welcome our Patron, Her Majesty’s Lord-Lieutenant, The Dowager Countess of Darnley. Over half of our volunteers were able to attend and enjoy an interesting day of learning and discussion. Volunteers were given the opportunity to update their familiarity with the Heartstart Course by: recognising new elements to the training DVD; improving their knowledge and understanding of cardiac arrests including the role of the defibrillator (or AED); and evaluating new training resources available to us as a charity that might improve the quality of CPR training we deliver. Since the charity started in 1996 we have trained or retrained over 24,000 people local to Herefordshire. The more members of the public that are trained in basic life support skills the more chance there is of your friend, family or colleague surviving a life threatening event. You are up to 3 times more likely to survive a cardiac arrest if given bystander CPR. Herefordshire Heartstart run courses throughout Herefordshire all year round. Our courses last two hours and equip you with the knowledge that empowers you to be able to do something that could lead to the saving of a life. Feedback from participants who attend our courses regularly include an increase in confidence of what to do in an emergency situation. 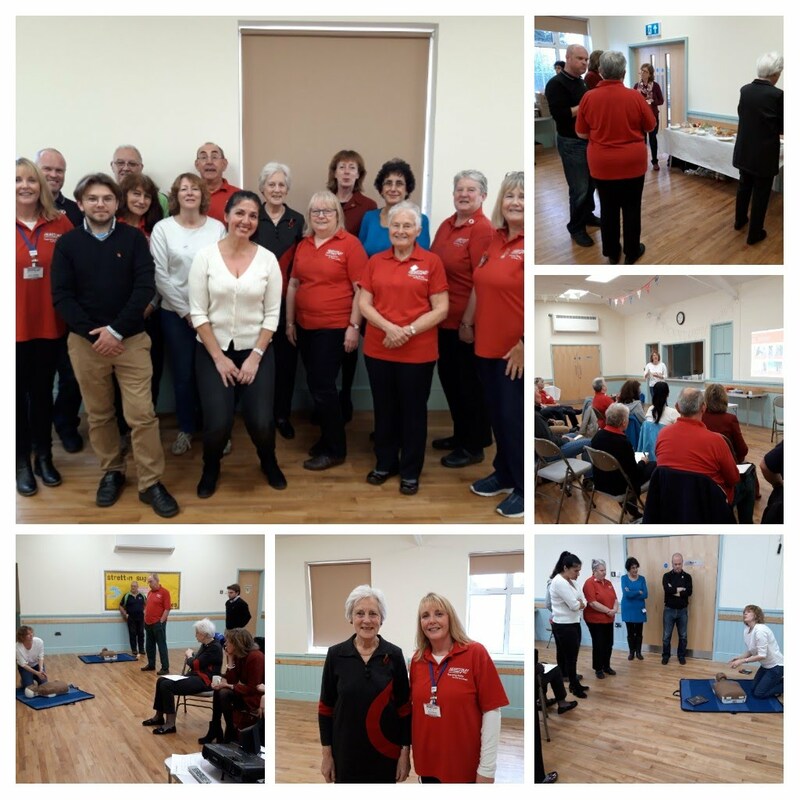 Further information about attending our courses, becoming a volunteer or organising a course for your community organisation, business, charity or school can be found on our website www.herefordshireheartstart.co.uk . Alternatively contact our charity coordinator on info@herefordshireheartstart.co.uk or call 0845 6060 654.